Enjoy the top 12 famous quotes, sayings and quotations by Jen Lilley. Gratitude not only encourages our hearts, it produces peace. And we could all use a little more peace these days. There's something profoundly liberating about giving, yet we don't do it often enough. It begs the question: why not? For some of us, our demanding schedules overtake our time to volunteer. For others, our fear of economic instability manifests a mindset dominated by pernicious lies like, "You can't afford to give" and "If you give, you won't have enough". However, truth of the matter is we simply cannot afford to not give back! Once we reach our goal, we immediately feel compelled to set a higher goal. We're left in a vacuum of unfulfillment. 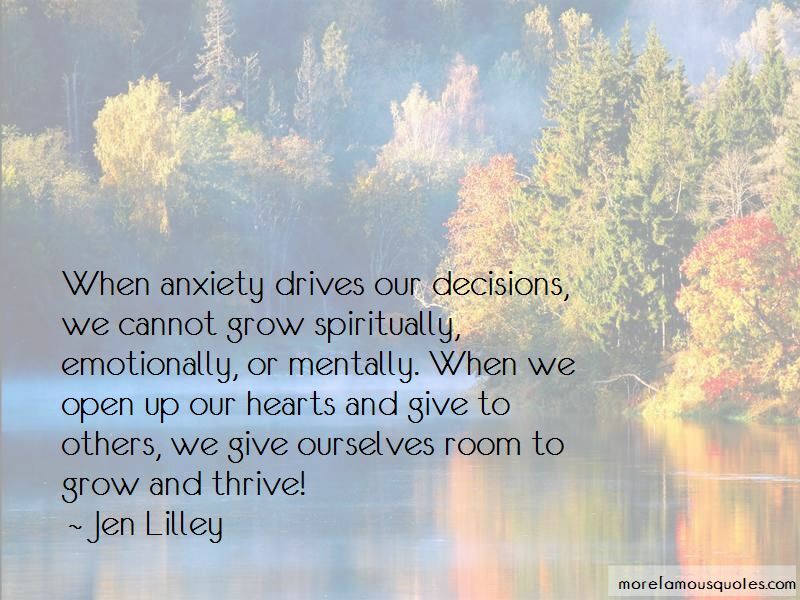 Want to see more pictures of Jen Lilley quotes? 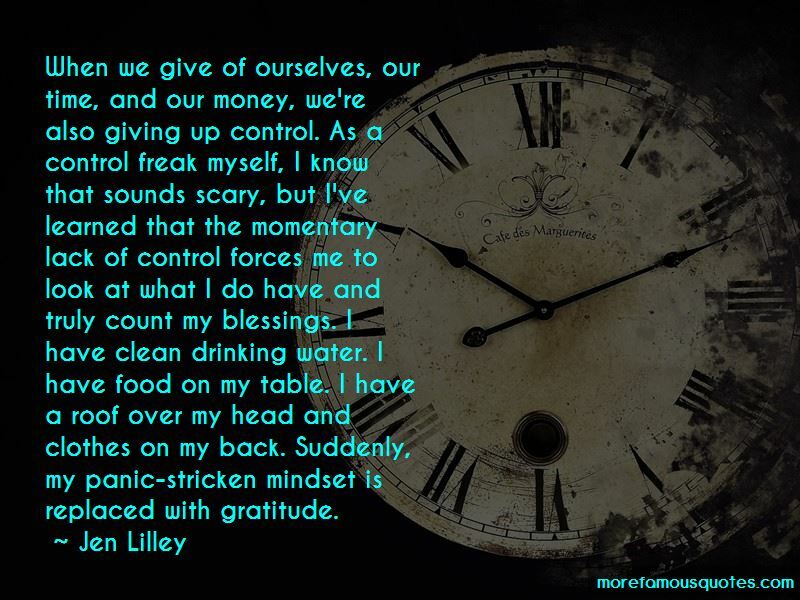 Click on image of Jen Lilley quotes to view full size.